Our family has been using essential oils for many years. 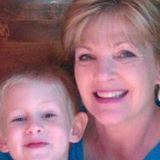 They have been life changing and the health benefits have been enormous, for all of us including my grandchildren. Essential oils are much more than just aroma or fragrance. They provide powerful support for the body. Essential Oils are cutting edge. The scientific research on these powerful oils is exciting and they are quickly making it into the mainstream. That is because they work and when something works, people share. More us are looking for options. We want to be proactive and be able to source natural ways of living and create a life full of vibrant health, energy, and happiness. Daily we are becoming more aware about the chemicals in our food, in our environment, and in our cleaning and personal care products. We are waking up to the very real dangers these chemicals are posing to our health and our world. We are hoping there is a better way...and there is. Essential oils have truly been a gift in our lives. These beautiful oils have allowed us to support our health and wellness in a natural, holistic, and life affirming way. In fact we all use them...from our youngest to our oldest. We are honored and excited to share these gifts with you on our Natural Aromatherapy Benefits website. I am the mother and grandmother of this beautiful family. My husband and I have five children and fourteen grandchildren...so far. 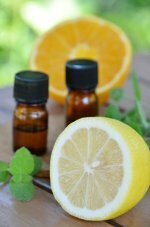 My interest and love of Essential Oils inspired me to take classes from the "Center for Aromatherapy Research and Education," also known as C.A.R.E. International. I received extensive and rigorous Coaches Training from the best... Landmark Worldwide. Landmark (Education) has their "Curriculum for Living" where many have experienced life changing break thru's. I have successfully trained and coached in their "Introduction Leader's Program." That has been one the most full-filling times of my life. Currently I do private coaching in leadership skills, life skills, and in health and wellness. I am the father and grandfather. It took me awhile before I realized that essential oils really do work. I drive truck for a living and my lower back muscles often get stressed and tired. Melanie finally convinced me to try (Idaho) Balsam Fir. She applied it to my lower back and immediately I felt better. To say I was astonished is an understatement. 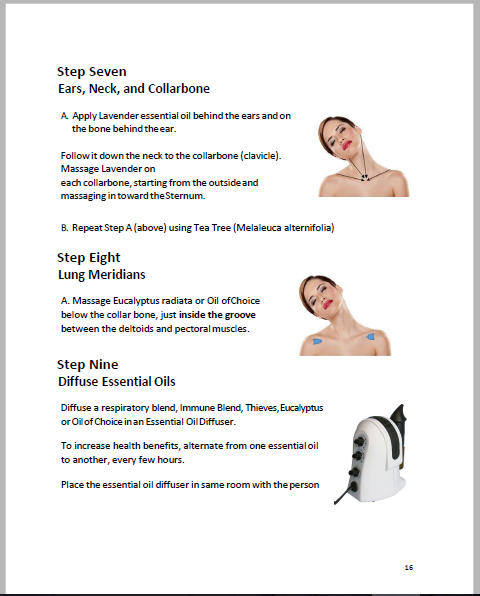 I was amazed that essential oils could be that powerful and work so fast. There are so many benefits from using essential oils. They are the first thing Jessie and I use if we need healthy immune support. Essential oils have supported my digestive health, and I use them on Jessie before bed at night to help her relax and promote peaceful sleep. We use essential oils for everything. We use them for healthy immune support, respiratory and sinus support, you name it! ...Oh yes and for support during times of stress. We diffuse Thieves oil to clean and purify the air. It is also our favorite when our immune systems are stressed and need support. We use essential oils for lung, sinus, and respiratory support, especially during the colder winter months. Lavender essential oil is another favorite because it supports us in feeling calm and relaxed... believe me, we have a very busy house. These are our three beautiful girls: Lili, Taylor and Miley. I discovered diffusing tea tree oil and lavender oil together, in an essential oil diffuser, for my daughter Taylor's respiratory health. It is calming and relaxing which helps support healthy breathing and healthy lung function. Thieves oil is another favorite oil that I like to diffuse...it has a pleasant cinnamon smell. We also use it to take away the minor aches and pains that happen in day to day life. Very effective. Our favorite essential oil is (Idaho) Balsam Fir because it greatly supports the minor aches and pains that happen in our daily life. It relaxes and supports minor discomfort in Loren's back and shoulder after a hard day's work. Love the smell! I love Frankincense. I use it for healthy immune support. I also use Thieves Oil for immune health because the kids are in public schools. I diffuse Lavender essential oil in their bedrooms at night not only for their peaceful sleep but mine also! I have also turned my husband into a believer. He uses essential oils for almost everything. Now that I am a proud mother of a new little girl I massage Gentle Baby essential oil blend onto her back and feet. It promotes relaxation. We love and use essential oils almost every day because of their natural, health promoting benefits. We truly wish you a happy, healthy, long life. Return from "About Us" to Home Page "Natural Aromatherapy Benefits"